Nagaon, Assam: Abdul Mohtalib of Samaguri in Nagaon district is a worried man since the first draft of the updated National Register of Citizens (NRC) was released at midnight on 31 December. No member of his family, or his brother’s family, figures on the first list. “We have all the documents, we submitted everything we were asked for. But our names haven’t appeared. This has happened a lot in my village, where there are many from my community. Very few have found their names on the first list,” Mohtalib said. 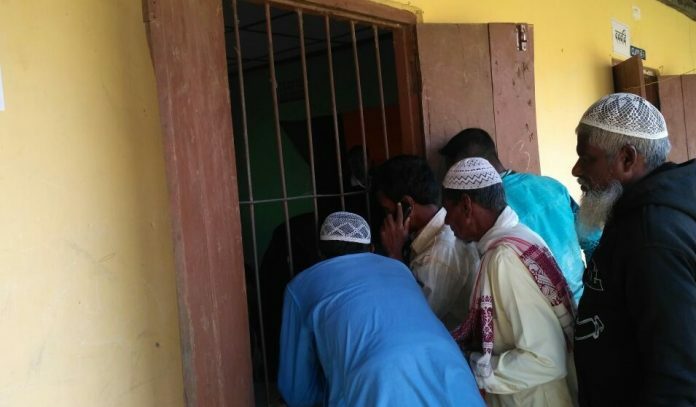 Mohtalib’s concerns find echo among Muslims across Nagaon district. As per the 2011 census, Muslims make up 55.36 per cent of the population of Nagaon district. It is among the nine districts in the state where Muslims are in a majority. 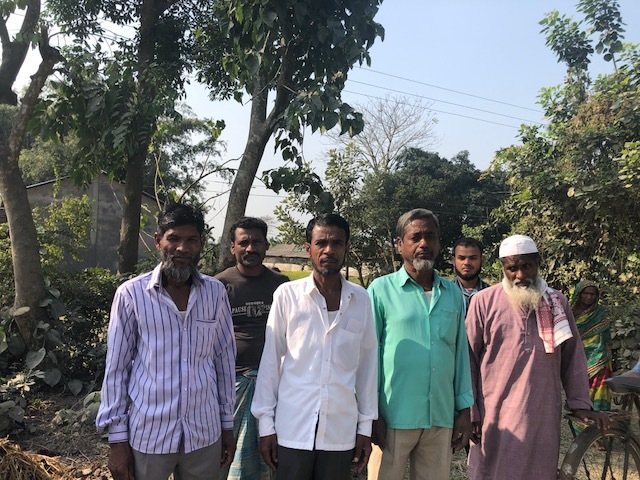 The process of updating the NRC, with 1971 as the cut-off year, is aimed at identifying illegal Bangladeshi immigrants, and eventually evicting them. However, with the issue being a political hot potato, several lines have been blurred. In the BJP’s campaign ahead of the assembly elections in the state, the party had managed to turn it from being an anti-Bangladeshi immigrant to being an anti-Muslim Bangladeshi immigrant issue. The ruling party has, in fact, promised citizenship to Hindu refugees from Bangladesh. The religious undertone to the issue has made all Muslims in Assam wary of the exercise. “There are four people in my family but nobody’s name has appeared. How is that possible? In our village, there are Muslim families where none of the names of even as many as 15 members have appeared. I gave our legacy data, which means my father’s legacy data, from 1951. Then how can our names be not verified?” said Abdul Kalam of Magurmati village. He added that the BJP government’s plan of recognising Hindu Bangladeshis as Indians is “unfair”. “No Bangladeshi should be an Indian, irrespective of religion,” he said. The first draft of the NRC featured the names of about 1.9 crore persons of a total 3.29 crore applicants. Authorities in Assam have repeatedly clarified that names of people across all communities, and not any one particular community, have been left out in the first draft. In other districts of the state, ThePrint did find names of several members of Hindu families that have also not appeared in the first draft. However, what is also true is that the religious hue to the entire illegal immigrant issue has made Muslims in the state feel insecure and view the exercise with a degree of suspicion. Haji Ahmed of Simaluguri village fears the worst. Only one of the nine members of his family have found their names on the first list, and he believes there is “some mischief” by the government to target Muslims. “There is definitely some mischief by the government. How is it that Hindu family members’ names are appearing more and ours are not? We keep hearing in the news how the BJP equates all Muslims of Assam with Bangladeshis. That is our fear, that despite giving legacy data, we won’t find our names on the list,” Ahmed said. His neighbour Muhammad Bil says only one of the 15 members of his family find mention on the first list. “We gave 1951 legacy papers. We also gave our property papers dating back to 1937. It is strange they need so much time to verify our identity, when we know of several Hindu families who gave less solid documents than us but have got their names on the list,” Bil said. Some from the Muslim community, meanwhile, believe this exercise will be beneficial for them, since it will unequivocally establish their identity as Assamese people. “Our names haven’t come on the first list, but we have been told they will appear on the second list. This is a good step. Questions over our origins will stop. 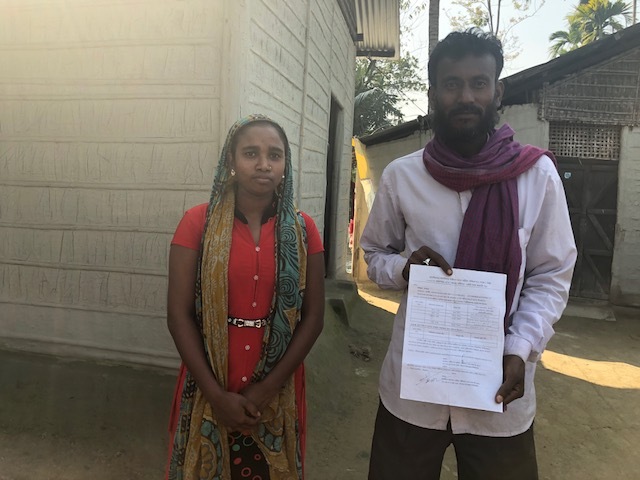 We will be certified as Indian citizens,” said 25-year-old Afia Khatun of Bogabill village. Her neighbour Muhammad Islam feels there is nothing to fear for “anyone who is a true Assamese”. “Fear etc is rubbish. We have all our documents. Our names will come. Mine already has, four of my family are left. This exercise will put our names on the list and then no questions will ever be asked again,” he said. Then there are some like Faridul Islam of Bhagamur village who adopt what can only be called a brutally pragmatic view of the situation. “Why are Hindu Assamese even being made to go through the process? Will a Baruah or Deka ever be questioned about his ethnicity? It is a waste of time to get them to do this. This exercise is needed only for the Muslims of the state, since it is our identity which is always under a cloud. We need to find our names on the list and clear all doubts,” said the septuagenerian.